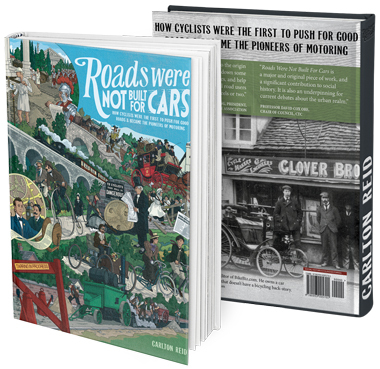 Roads Were Not Built For Cars | What will ‘Get Britain Cycling’? 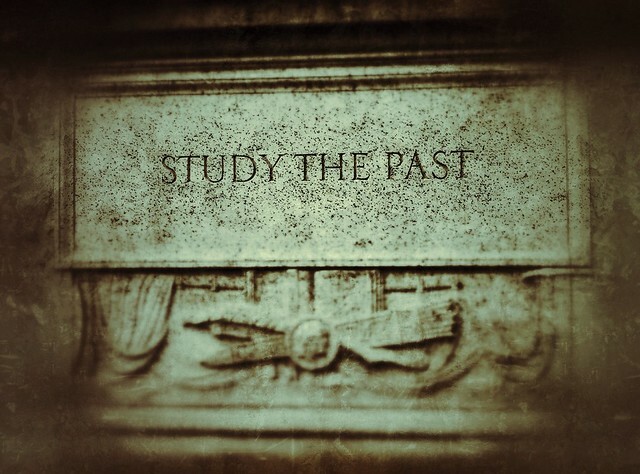 Can history teach us anything? What will ‘Get Britain Cycling’? Can history teach us anything? It’s a mix of all of the above, and more. Much more. There’s no simple solution. It’s not just about infrastructure. If it were, Stevenage would be a hot-bed of cycling in the UK. It’s not just about looking at what’s been done in New York, Groningen, Seville, Copenhagen and Chicago. We need to learn from those cities, for sure, but there’s no one-size-fits-all template that works for all cities. And cycling isn’t just about cities. We also need to tame the car in the countryside, too. None of this will be easy, we’re up against more than 100 years of planning for the car. And, let’s face it, the majority of people are glad there’s been this 100 years of planning for the car. People may not be happy to be stuck in their cars but even when given a gold-plated alternative, they may not use it. Inertia is like that. On the first day of the ‘Get Britain Cycling’ inquiry I said that there was a huge untapped demand for cycling in this country. Let me qualify that. By ‘huge untapped demand’ I didn’t mean ‘millions of people will flock to cycling if only we stopped pandering to the car.’ Even if some dictator banned all cars, tomorrow, that wouldn’t turn millions of people into users of bicycles overnight. The bicycle is one way to get about – a clean, green, fast way to get about – but it’s not the only non-car mode of transport and focussing solely on the – admittedly-wonderful – bicycle doesn’t win us friends in high-places. 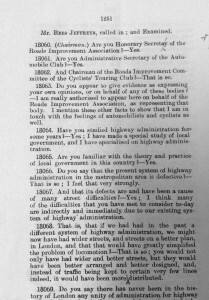 When transport minister Leslie Hore-Belisha said, in 1934, that cyclists were “hysterical prima donnas”, he was voicing a concern that resonates with many politicians to this day. 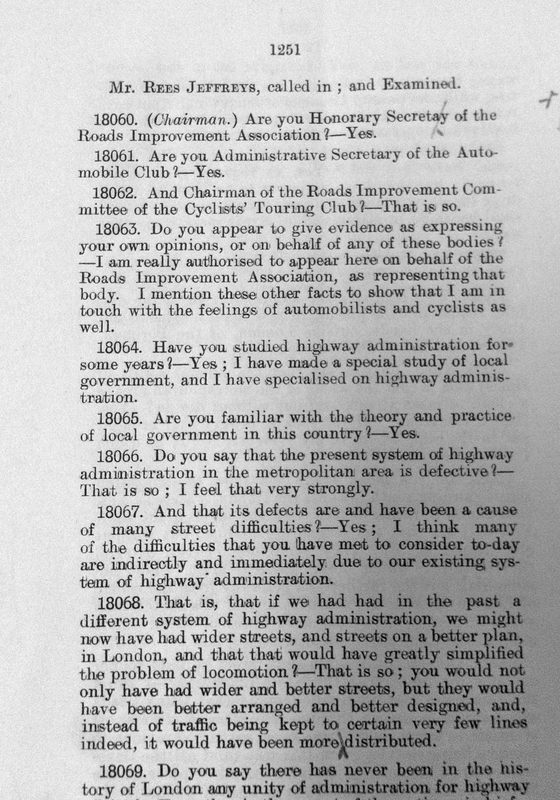 I enjoyed giving evidence to the ‘Get Britain Cycling’ inquiry, especially as I’ve read so many transcripts from other parliamentary enquiries, from the pro-roads evidence given by John Loudon McAdam in the 1820s and 1830s through to pro-roads evidence given by cycle-motorist William Rees-Jeffreys in 1903 and then through into the modern era, with some mighty fine pro-cycling words said by politicians in 1997, that led exactly nowhere. The evidence I gave to the ‘Get Britain Cycling’ inquiry has been said many times before. The evidence others gave has been said many times before, and what will be said tomorrow and over the next five weeks has been all given before (heck, back in 1938 the Automobile Association was trying to influence parliamentarians about the sort of wide bike paths and cycle underpasses that weren’t installed in the Netherlands until the 1970s and 1980s). Really, there’s nothing new under the sun. Thing is, words are easy to say, it’s action that counts. Will Professor Goodwin’s Get Britain Cycling report lead to action? I hope it does, but I’m not holding my breath. It will be far easier for local and national politicians to carry on pandering to the motorised majority (even if, in some locations those who own cars are not in the majority). The pix decorating this article were taken when I was in Washington D.C., mooching through the U.S. National Archives. 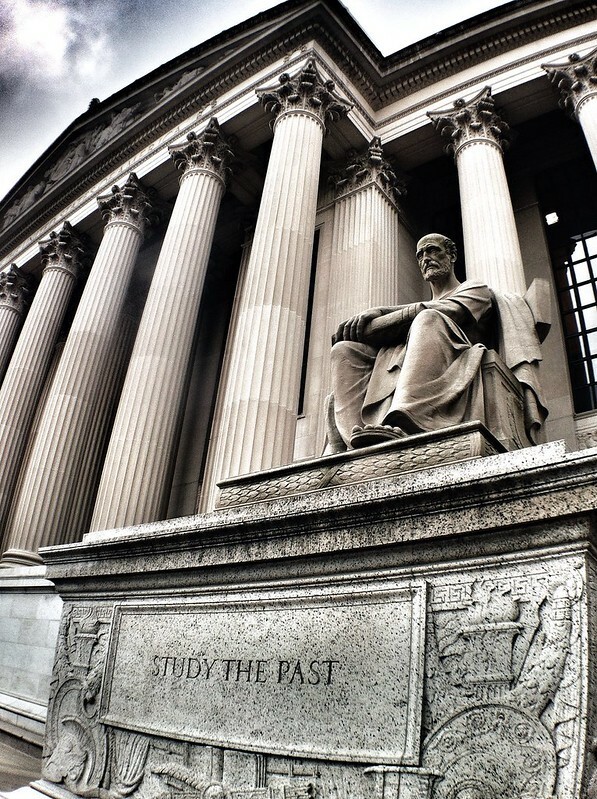 The ‘Study the past’ statue, erected in 1935, has a partner: ‘What’s past is prologue’. This is a quote from Shakespeare’s The Tempest and means that history influences, and sets the context for, the present day. Well, as Armageddon is merely a hill fort in Israel (Har Megiddo) I don’t suppose the rest of your entertaining analysis is terribly like to come true either.